One of the best-known draftsmen of the 20th century, M.C. 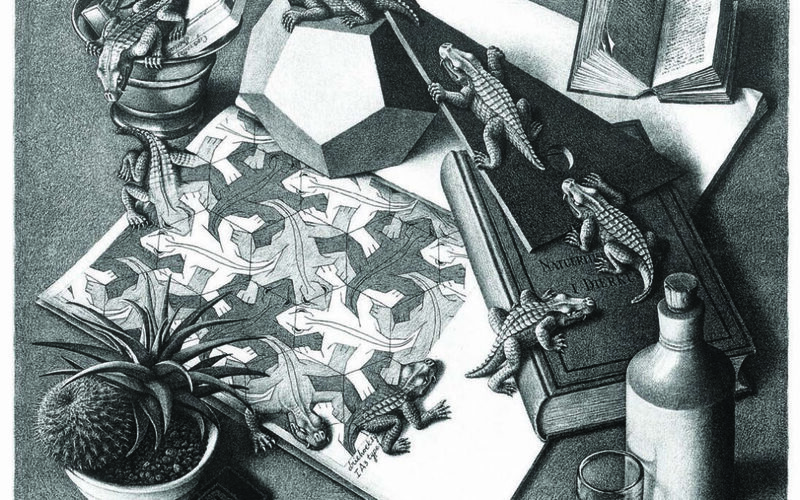 Escher’s work is on display at the Currier Museum of Art in Manchester through January 5, 2015. A respected artist with work displayed in museums worldwide, Escher’s intriguing imagery is a popular favorite. If you didn’t have one of his prints taped to your dorm-room wall in college, your next-door neighbor probably did. Read the full story from print and check out the collection of M.C. Escher’s work, imitations and other optical illusions from our Pinterest board below. Follow Around Concord Magazine’s board Optical Illusions and MC Escher on Pinterest.